SCAHACC- We Promote the HVAC industry in South Carolina. 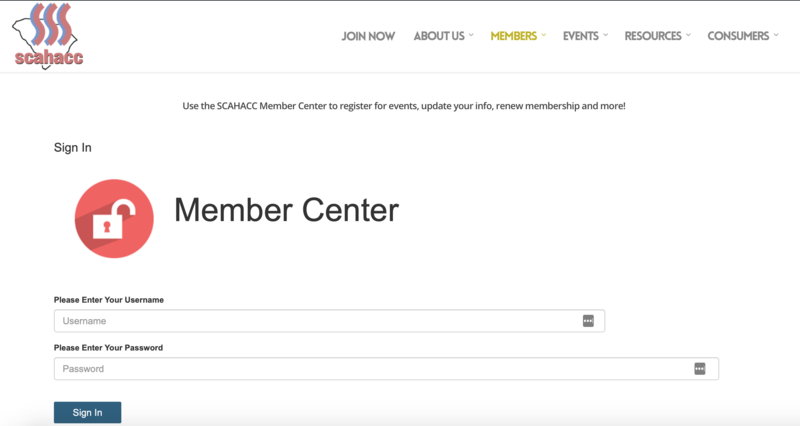 SCAHACC has a new website platform which will give our members greater functionality. To login for the first time, you will enter your user name, which is your first name.lastname and click the reset password button. Also, when registering for events, this will ensure you receive the member rate. If you have any difficulties, don’t frustrate yourself, call your association headquarters staff at 800-395-9276. We will get you logged in without fail.